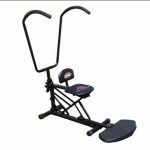 This Body by JAKE Ab Scissor Exerciser review will be assessing this abdominal crunch machine to see whether it is a good purchase for building ab strength and to see whether it is the right option for you. First: Doing lots of sit ups will not provide enough of a challenge or enough ‘resistance’ in order to really signal growth in the abs. The problem here is that the abs are only being required to lift your upper body off the ground. Some of this will be helped by momentum, and if you think about your body weight and the small percentage of that that you’re going to be moving, then it becomes very obvious that this really isn’t all that much of a challenge. In fact, it’s not that different from what your abs do all day every day: at all times, your abs are working simply to keep your upper body upright. They are working to counteract the force of the erector spinae (lower back muscles) and other muscles in the posterior chain to pull you backwards. Thus, the abs are filled with slow twitch muscle fiber: they are used often for endurance tasks. To get them to grow, you really need to shock them with something different that will provide more of a challenge. And that means adding weight. Second: All too often when we try to train the abs, we are actually training the hip flexors. The hip flexors are the muscles responsible for lifting our legs directly upward and for helping us to ‘pivot’ and fold at the waist. Conversely, our abs (or more specifically the rectus abdominis) is responsible for crunching around the stomach. 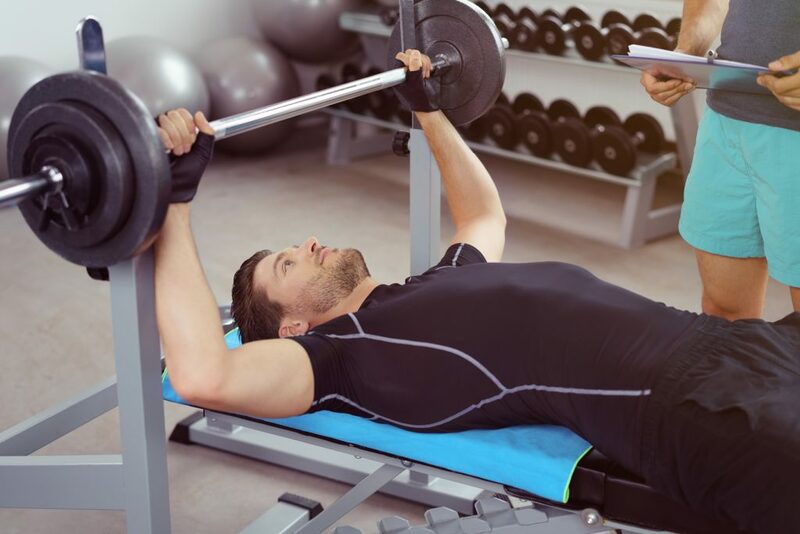 If you want to really train the abs, then using that crunching motion is important and ideally you should make sure you lean back far enough each time. The Body by JAKE Ab Scissor Exerciser helps with both these points. Let’s take a look at how in the full review. So how can the Body by JAKE Ab Scissor Exerciser help you to train your abs better from home? Firstly, it does this by forcing you into the ideal range of motion. It makes you crunch rather than tilt in other words, and because the machine moves through a specific range of motion, it’s impossible for this to have any other effect. To use this machine you will sit on the chair and then hold onto ergonomic handles on each side. You’ll then pull these down and forward as you move through the predefined crunch motion. Next, the Body by JAKE Ab Scissor Exerciser helps by providing you with resistance – making your muscles work harder to push through the movement. Specifically, it achieves this by getting you to lift your own bodyweight, which will be directed through the foot pads. You’re not adding weight in the form of weight plates in this case then. The machine is well made overall. 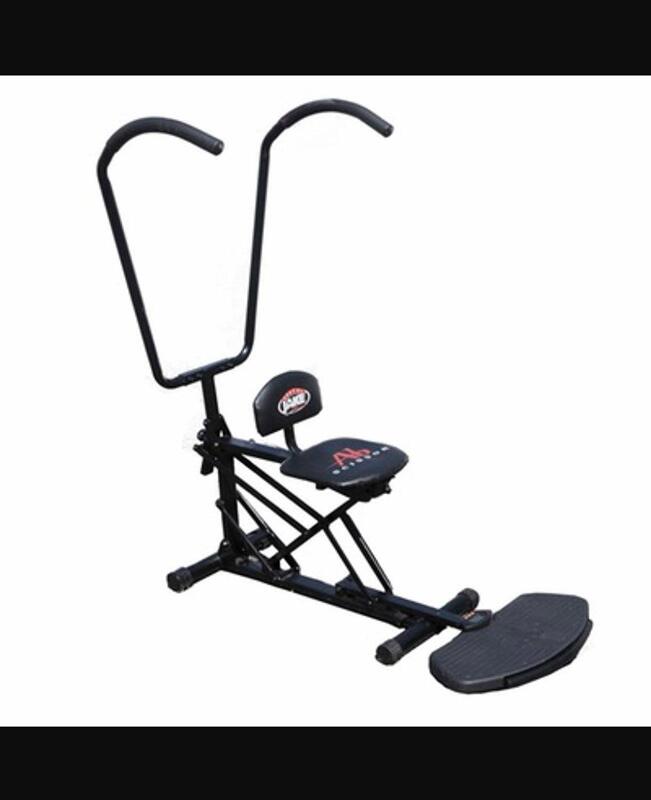 It is relatively slim in terms of its footprint, meaning that it shouldn’t take up too much space in your home gym. At the same time though, it also feels sturdily built, giving you the confidence to really have at it and work hard without worrying about it falling over or becoming damaged. The machine is also very comfortable. The handles have a great padded foam around them, while the seat is cushioned and doesn’t become painful over time like some do. This machine has a lot of positive things going for it. For starters, it gives you the ability to train in a way that is guaranteed to hit the abs harder and trigger effective growth. This is hugely more effective than training with sit ups and crunches alone. At the same time, it is also a benefit in some ways that it relies on bodyweight. 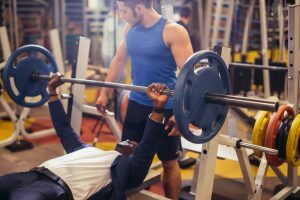 This means that you won’t be forced to spend more money to invest in free weights for instance. At the same time, it means that you should always be provided with the right amount of weight for your body type. This is still more resistance than a sit up, as the design of the machine is such that your whole body is going to be pushing against you. The machine actually provides five different resistance settings to suit your strength level. And finally, using bodyweight means that you are able to go fast and train in an aerobic manner without causing weight plates to rattle around and shake the machine. It’s loose, light, fast, and perfectly challenging. That said, this reliance on bodyweight is also a limitation in some ways. It means that you are limited to only a certain amount of resistance that can be achieved with just your own body. So if you are a strength athlete, you may find that this is a somewhat easy challenge. Consider this as a better option for those starting out, or who are more interested in using it in metcon or HIIT circuits. The other drawback is that while the resistance is adjustable, the height unfortunately is not. This design is very comfortable and will suit most people – but if you are unusually tall or short, then you might want to give it a try before making that investment. For those happy to train with bodyweight alone and looking for a convenient way to hit their abs hard in a very effective manner, the Body by JAKE Ab Scissor Exerciser is a great choice.